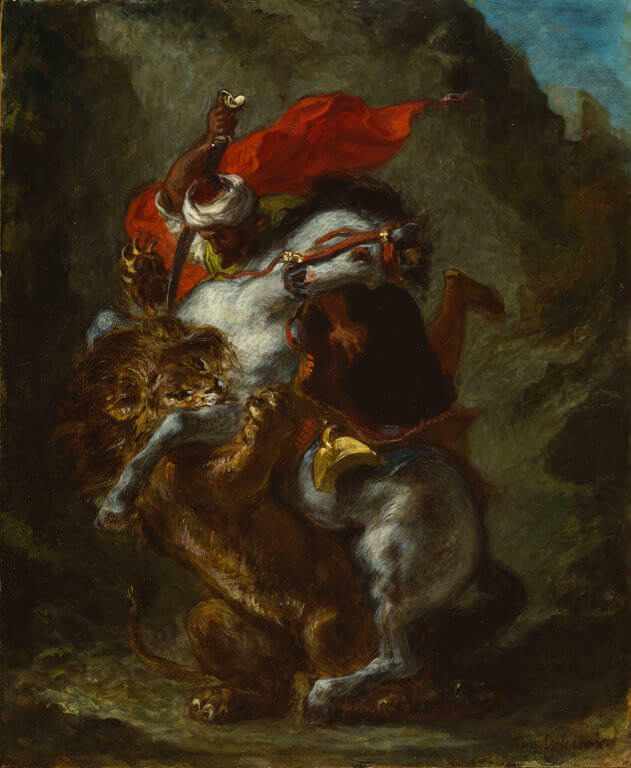 Known as a "master of color," Delacroix became a pupil of the English Romantic landscapists and extracted from their techniques, to develop a unique and memorable approach to color. 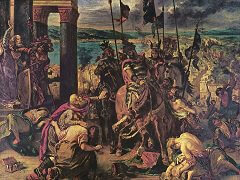 The impact of literature and both historical and contemporary events, coupled with his innate artistic technique created an explosive viewing experience on canvas. 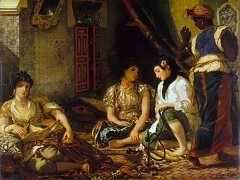 The settings around him also shaped his work; he traveled throughout Europe but Morocco seemed to have the greatest impact on him of all the places he visited. 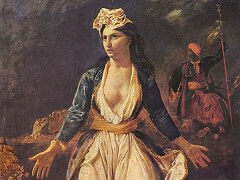 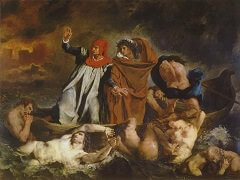 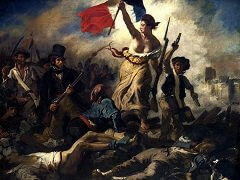 Delacroix enjoyed a long and successful career, receiving countless commissions from the government. 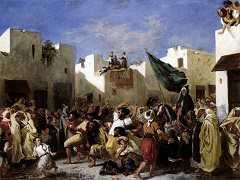 His violent subject matter, intense passion, and bright colors puzzled and offended some contemporary critics but earned the admiration of others.